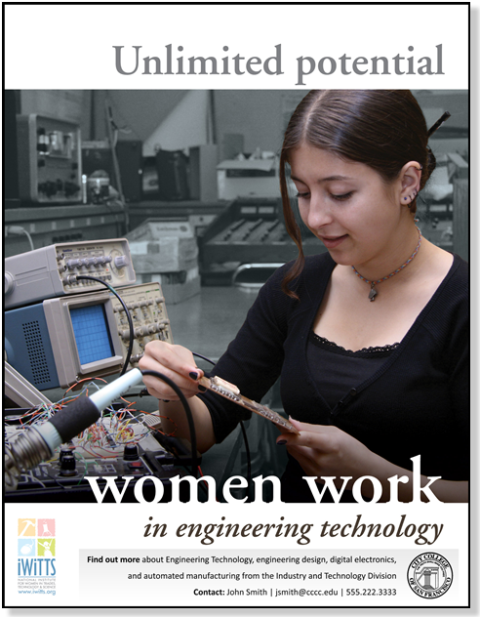 Need more women in your technology classes? You can do it! IWITTS can help. Early-Bird Special: Register by April 26 to receive 50 Unlimited Potential posters as a bonus while supplies last (value = $1,200)! Only space for 4 teams, so register now to get your posters and secure your team's spot in a proven WomenTech Training that has already made such a difference for other colleges. Going digital poster sale! This is a final chance for your school, district or state to stock up on ready-made female role model posters at an amazing price. Save up to 70% on all Unlimited Potential Poster Sets (1 set = 6 posters) when you order before while supplies last. Don't miss this one-time chance before they're gone!